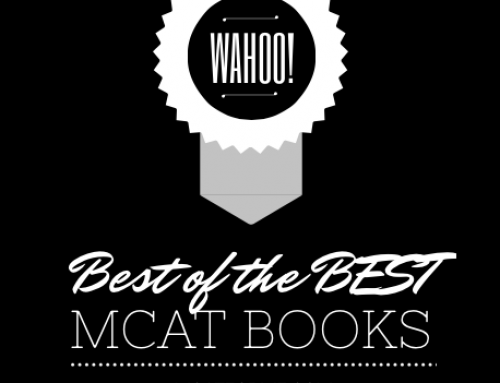 MCATQuestion.com’s QBank is a great way to practice for the MCAT if you need additional passage based practice questions. Coupon Code: MCATFORME gives 15% off 3, 6, and 9 month QBank Accounts. 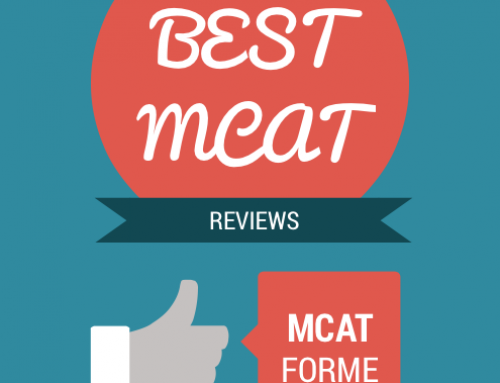 Many may know MCATQuestion.com as the founder of the free MCAT question of the day. Every day they post a free standing question about various subjects in physics, chemistry, biology, and organic chemistry. However, one thing they may not know about them is their awesome QBank. What is the QBank and how is it different? At first I was a bit confused how their QBank was any different from their question of the day. But once I checked it out, it became clear. Unlike their Question of the Days, the QBank comprises of about 1000 passage based questions, in all 5 subjects, including verbal. You can see what one of their passages is like below. And as you can tell it’s quite similar to the actual exam. The interface has options to highlight the passage, mark it up and even times you so you are on track with real test taking conditions! How can I benefit from MCATQuestion’s QBank? 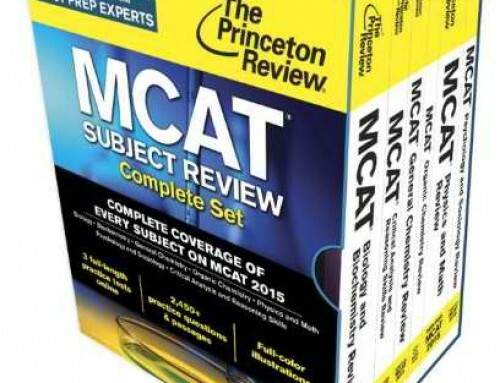 One thing that is lacking in the market is the availability of high quality passage based questions for the MCAT. The closest competitor is Examkracker’s 1001 Question Series. 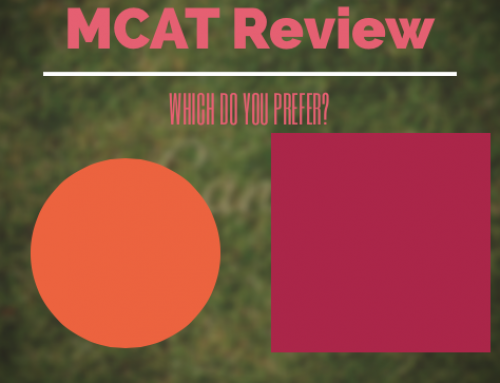 However, that is all free standing questions and we all know that the MCAT really doesn’t have much of that. So, having a resource that has tons of passage based questions is a huge plus. In order to gain access to the practice problems, you have to purchase a membership. Memberships are very flexible, with 1 month, 3 month, 6 month, and 12 month plans, depending on how long you think you’ll study for. There are 59 passages for the Biological Sciences portion of the test, 59 for Physical Sciences, and 59 passages for the Verbal Section. 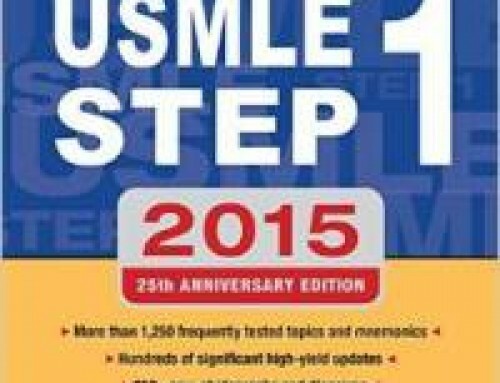 Each passage has around 5-7, which is typical for any MCAT passage, so you’re looking at around 1000 questions. It is obvious that A LOT of time was spent making this program. Besides the actual interface, one of the best features of the program/membership are the explanations and analytics. They really do take the time to make sure you understand exactly why you missed a question. 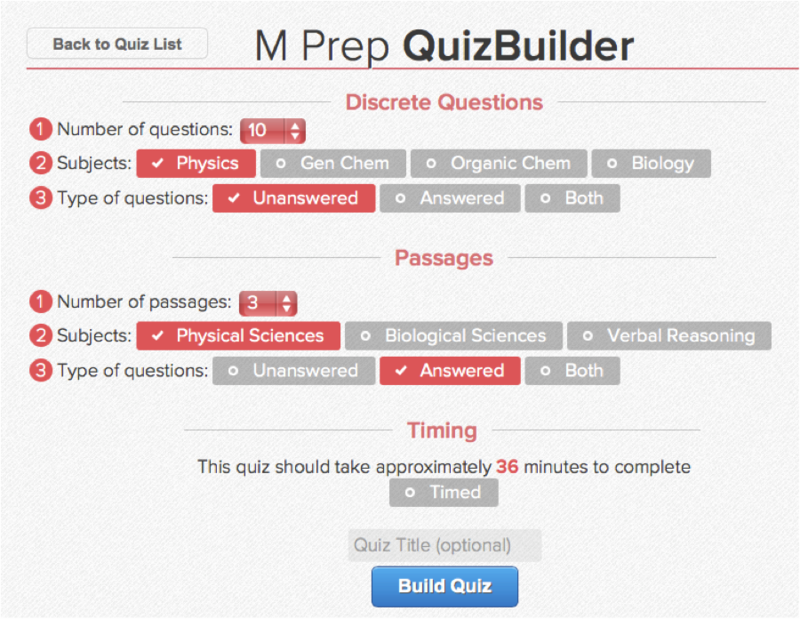 Plus, with their Quiz Builder, you literally can make a full length practice test every single day. Because they have so many questions that they have amassed over the years, in addition to their passage based QBank, they can provide you with unique practice exams every day. You can see how it exactly does this in action below! Plus, they keep great analytics to make sure you know whether you’re missing hard or easy questions based on other user’s responses. Which is great because it allows you to guage whether you’re making stupid mistakes or the question really was hard. Because all their questions are passage based, I feel confident in the reliability of the program. Everything has been time tested and you can be confident the topics are relevant and the answers are accurate. My only concern is that some of the passages/questions are on the easier side. The passages themselves are fairly straightforward to read and the questions rely mainly on innate knowledge, rather than inferences from the passage. However, given that there are a handful of hard questions and that the questions themselves are still great practice, I would strongly recommend this program! While you may be set back by the monthly subscription, I think it is well worth the cost. Not only are you getting more practice problems than any one book can provide, but you’re also gaining access to the EXTREMELY valuable quiz builder. The quiz builder gives you access to literally thousands of practice problems, all of which can be integrated into mini practice tests. Because this is a strictly online program, the availability can be limited. That being said, because it is 100% online, it allows you to learn how to practice online. 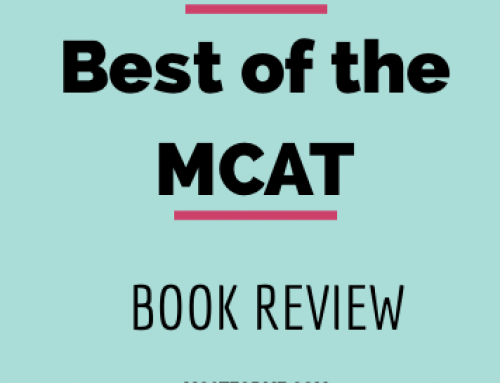 Being able to take the MCAT online is actually a skill that you’ll need to have before taking your actual exam. All in all, if you’re looking for passage based prep, this would be a great program to enroll in. 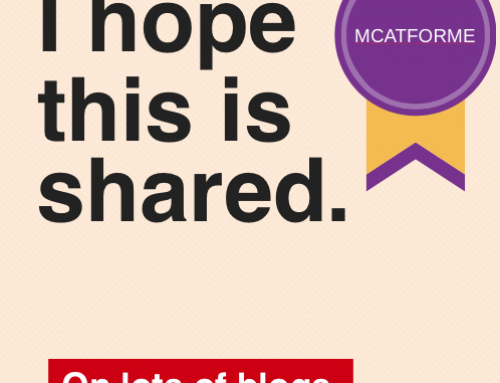 Plus, if you enroll in the program for 3 months or longer, you’ll receive a 15% discount, using the coupon code MCATFORME. So check them out and let us know what you guys think! 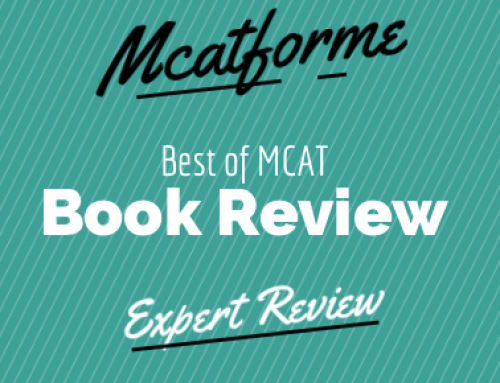 The MCATQuestion QBank is a part of our Best MCAT Practice Problems Book Review. See where it stacks up!